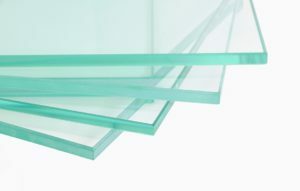 Safety Filming -?Emergency Glazing London can supply and fit safety filming which conforms to Safety Standards BS6206. Safety filming is useful for any properties which are at risk of broken glass which could harm employees or the general public. It is also useful for holding glass together after it has broken while waiting for replacement glass. We have supplied and fitted safety filming to properties in London, such as shop fronts and commercial buildings. Our safety filming will hold any shattered glass together and can be fitted day or night by our professional London glaziers. We can install Safety Film that will ensure that your existing glass complies with safety standards required by law which will cost you a fraction of the price compared to replacement windows. ?Safety filming makes the window more secure against break ins and will block harmful UV rays which cause fading to building interiors. Over 3000 offices are broken into daily with over half through glass access. Emergency Glazing London can provide professional glaziers to install security filming to your property, significantly minimising the chance of break ins through glass. Security films form a tough barrier which will greatly increase the time taken to enter through glass structures. It can also be made to obscure the view to within the building acting as an extra deterrent to thieves. ?With free quotations and customer support by trained staff, Emergency Glazing London London remains a firm choice by many high street retailers and industrial companies, for their glazing needs in London. So call us now for your FREEINSTANT QUOTATION.